First reported by WinBeta, torrent trackers taken the downloads of the OS offline following a controversial Microsoft Services Agreement update, which allows Microsoft to block pirated games and other content. 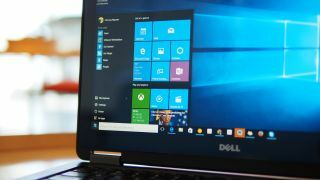 Torrent groups have taken to the internet to make various complaints about privacy in relation to Windows 10 and one such outfit, BB, claims it has evidence that Microsoft is already collecting information on file sharers. "We have also found [Windows 10] will be gathering information on users' P2P use to be shared with anti piracy group… what's particularly nasty is that apparently it sends the results of local(!!) searches to a well known anti-piracy company directly so as soon as you have one known p2p or scene release on your local disk … BAM!" read a statement. FSC, another group, is taking it even further by banning any user that visits the site whilst using Windows 10. A number of other torrent trackers are also considering making similar moves to remove block visitors Microsoft's newest OS. There is absolutely no evidence at this stage that Microsoft is collecting and sharing information using Windows 10 and the Microsoft Services Agreement doesn't even specifically mention Windows 10, only referring to Microsoft Account, Xbox Live and Windows Store content.